There are many Slavic actresses who got noticed by renowned film studios in Europe and the US. Among all of them, we picked the ones with interesting life stories and striking beauty, who continue to steal hearts of cinephiles up to this day. The actresses listed in this article are just some of the Slavic stars of the early 20 century films. Although we only scratched the surface, we believe it will be enough to inspire you to take look at some old movies with Slavic women in leading roles. Alla Nazimova was a Russian actress born in 1879 in the city of Yalta. She immigrated in the US in 1905, where she began her career as an actress on Broadway. She made her film debut in 1916 and soon became very successful. She acted in more than 20 movies and was also a producer in some of them. She is also known for her open relationships with women. As matter of fact, she is credited for the phrase “sewing circle”, a discreet code for lesbian actresses in Hollywood. Gilda Gray was born as Marianna Michalska in Krakow in October of 1901. However, her parents abandoned her soon after her birth, and she immigrated to the US with her foster parents. She earned her fame with a dance she created called shimmy, which was extremely popular in the 20’s. Her dance was also the main cause she got her first Hollywood roles, most notably the one in Aloma In The South Seas. Her career was promising, but she lost all her money due to the stock market crash in 1929. She was forced to earn her income with dance. After a while, she tried to revive her film career but failed due to a number of health issues. Alexandra Sorina was a Belarusian actress born in the city of Baranavichy in 1899. Although her true dream was to become a concert pianist, her parents insisted she should become a dentist. Thus they sent her to a medical school in St.Petersburg. Soon after she finished her studies, she was surprised by an offer from a Polish film studio to become a lead actress in their next film. The movie was very successful and as a result, she was invited to Germany by a renowned film company UFA. This is when her movie career started to bloom and she acted in 15 more movies until 1932. At that time, she decided to leave her career as a film actress to devote herself to her family. 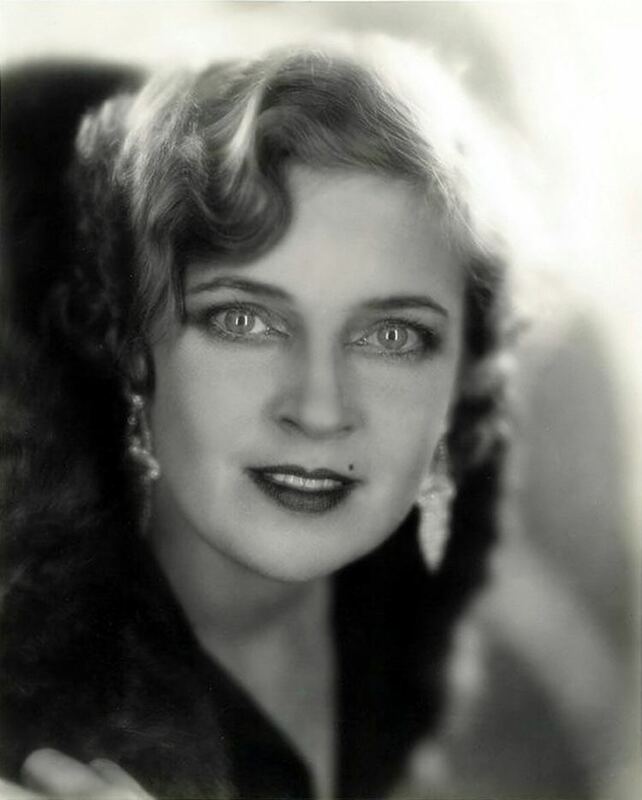 Anny Ondra was born in a Polish city of Tarnów. Her family moved to Prague when she was a teen, where she met her future boyfriend, a movie director Karel Lamač. She starred in his movie when she was 17 and got a beating from her father as he didn’t approve of her career choice. However, this didn’t stop her, and she acted in more than 50 films during her lifetime. Her most notable roles are the ones in Alfred Hitchcock’s dramas The Manksman and Blackmail. Olga Vladimirovna Baklanova was born in Moscow in 1893. As soon as she graduated from high school she got selected as an apprentice at the Moscow Art Theatre. She also started acting in films and appeared in more than 15 Russian films between 1914 and 1918. She traveled with her film studio to the US in 1925 and decided to remain there to perform in theatres. Hollywood studios noticed her on stage and she got offered a number of roles. She acted in many Hollywood films, including the cult film Freaks from 1932. She returned to Europe in her old age, and died in her home in Switzerland in 1974. Anna Sten was born in Kiev, Ukraine and studied at the Institute of Cinematography in Moscow. She started her career as an actress in Russian silent films. The famous producer Samuel Goldwyn saw one of her films and immediately fell in love with her. He encouraged her to learn English as he believed she could reach the magnitude of famous Hollywood actresses such as Greta Garbo. However, her career wasn’t nearly as successful as he planned. It was mostly because of bad luck since all of the movies she starred in were a box office flop. Tamara Wiszniewska was born in 1919 in Poland. Her father was Ukranian while her mother was Polish. She studied at a dance school in Warsaw and began to perform in theatres and clubs soon after she finished her education. She was spotted by a German director Paul Wegner in 1935, who offered her a role in his movie August Mocny. She acted in dozen more films until 1942, when she immigrated to the US with her husband. This is when her movie career started to fade, and she continued to work as a receptionist and a translator.